This tough hanger is the “EZ” is a great way to hang your swings on a wooden frame. 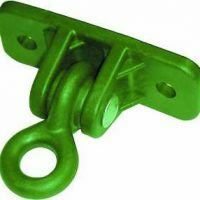 This type of swing hanger is a popular choice among customers. This tough hanger is the “E.Z.” way to hang your swings on a wooden frame. It fastens to the structure with only 1 carriage bolt (12 mm). The built-in steel shackle pendulum opens easily with an Allen wrench, and it saves you money because you don’t have to buy an H-shackle or an S-hook. For better grip, the hanger has teeth on the top to prevent it from turning after installation. 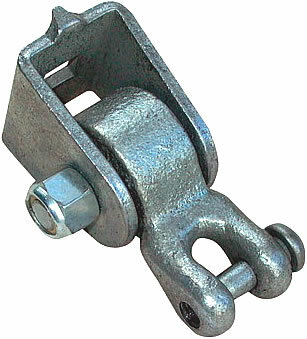 The hanger is very strong, and it has an “oil lite” bronze bearing and axle bolt with lock tight nut. National Test Lab Results: 5,000 lbs. It’s commercial grade, but it works great on home structures, too. The pivot is made from iron. Buy online now! !